The work of a student of Arabic calligraphy, using bamboo pens (qalams) and brown ink, tracing over the teacher's work in black ink. Le travail d'un étudiant en calligraphie arabe, utilisant des stylos en bambou (qalams) et de l'encre brune, traçant le travail de l'enseignant à l'encre noire. 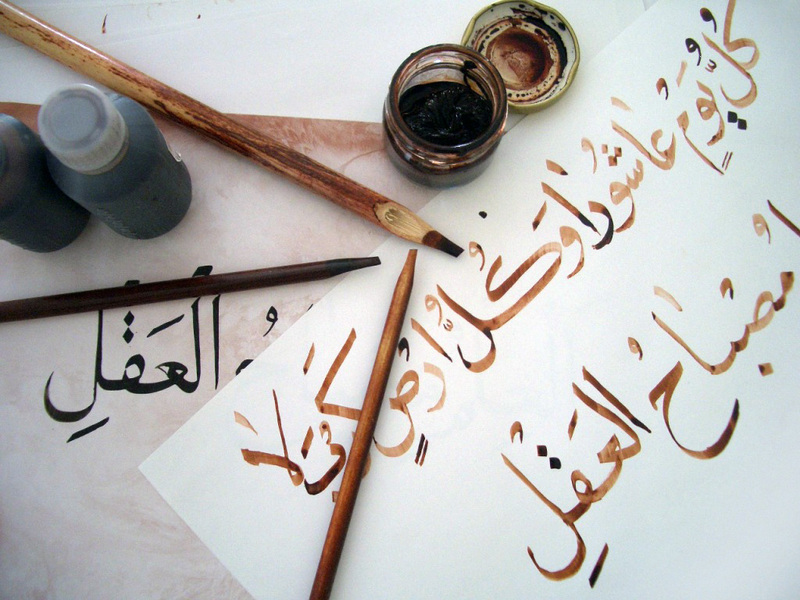 English: The work of a student of Arabic calligraphy, using bamboo pens (qalams) and brown ink, tracing over the teacher's work in black ink. Digitally edited for quality by uploader; no copyright is claimed for these changes. This image, originally posted to Flickr, was reviewed on 10 November 2006 by the administrator or reviewer Alphax, who confirmed that it was available on Flickr under the stated license on that date.